A white big rig ran into a tree in San Francisco early Tuesday morning, causing it to fall on a tent and injure two homeless people inside, police said. The investigation is now being considered a hit-and-run, police said, because the men were hurt, though their injuries were minor. 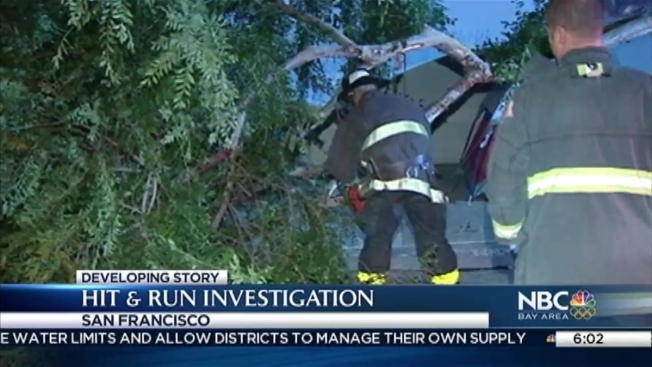 The truck with a Volvo front tractor hit the tree about 4 a.m. on Folsom Street in San Francisco’s Mission District.